The co-convener of the Scottish Greens wants a better funding settlement for councils. The Scottish Greens are "hopeful" of striking a Budget deal with the SNP, the party's co-convener has told STV News. 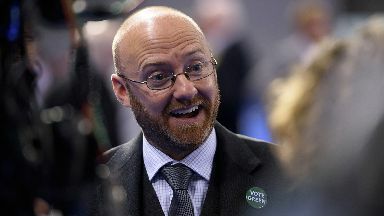 Patrick Harvie said the Scottish Government's draft Budget for 2019-20 would, as it stands, create a funding "crisis" for councils and local services. 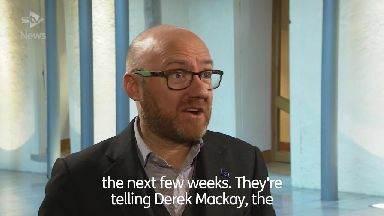 Speaking the day before Thursday's vote on finance secretary Derek Mackay's tax and spending plans, Harvie said he was optimistic about securing changes amid last-ditch talks. But the Green MSP cautioned that his party are still to reach an agreement with Mackay to back his proposals in the stage one vote. The finance secretary has urged opposition parties to "get serious" and come to a compromise with him ahead of the Holyrood showdown. The SNP-led minority government in Scotland requires the support of MSPs from other parties to pass all their legislation. For the last two years, the six-strong cohort of Scottish Greens have voted to enable the Scottish Government to write its Budgets into law. However, the Greens has demanded more money for local government, as well as local tax reform, as the price of its backing for the coming financial year. The Conservatives, Labour and the Liberal Democrats have all said they will vote down the Budget on Thursday. It will be the first of three votes needed for MSPs ratify the Budget, with the stage two vote expected early February. The final stage three debate cannot be held until a separate vote on income tax rates has been passed, likely to be staged mid-February. Harvie told STV: "We're still working, even in these late stages, to try and secure change from the Scottish Government. "That change to the Budget is absolutely needed. I hope that they'll listen to that, they seem to be hearing not only from us but even from their own party colleagues. "There are SNP-led councils, SNP councillors, trying to put together local budgets over the next few weeks. 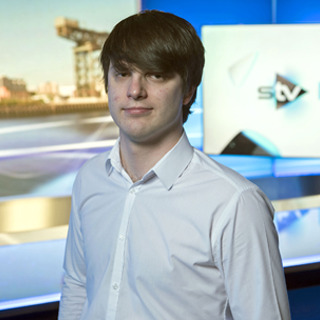 "They're telling Derek Mackay that they don't want to see their local services facing a crisis, and that would be the effect if the Budget were to be passed unamended. "We won't be voting for it unamended but we're very hopeful that we will be able to carry on working even in these late stages to secure the changes that are needed." The Greens are also calling for local authorities to be given more cash-raising powers, such as local tourist taxes like the one proposed in Edinburgh, as well as the replacement of council tax. 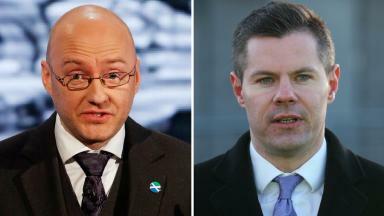 "Councils should not be so utterly dependent on a single bloc grant from the central government as they are in this country," Harvie said. Speaking earlier to STV News, the finance secretary said the "recklessness" of voting down his Budget could "imperil" current planned funding for services. Mackay said: "We're trying to find the necessary compromise to deliver a Budget that's good for Scotland. "It's now for opposition parties to get serious, to recognise their responsibilites, to give the country - in the face of Westminster chaos - the certainty, stability and stimulus it so desperately requires." He added: "The total additional amount of funds going to Scotland's public services will be over £2bn extra if the Scottish Budget is approved. "Now, if it's not approved, because of potential recklessness from opposition parties, that imperils not just the additional resource but the totality of resource." 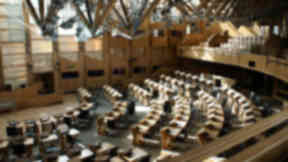 Both the Scottish Tories and Scottish Lib Dems say ministers need to rule out a fresh Scottish independence push before the end of this parliamentary term before they will support the Budget. Conservative finance spokesman Murdo Fraser told STV News: "What we're saying is rule out another referendum before 2021. "That way we can sit down and have a constructive discussion about building a Budget to help the support the taxpayers of Scotland, support the public services of Scotland and above all, put economic growth first." Scottish Labour have joined the Greens to call on the government to improve the funding pot for councils. 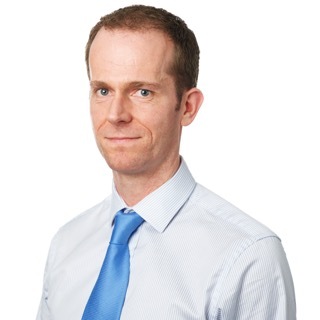 Finance spokesman James Kelly said: "Essentially (the Budget) decimates local services. "We're seeing from local budgets being considered across the country that councils are having to look at job cuts, services being slashed and local communities having pain inflicted on them."